Sandcastles are part of any discussion about game design in EVE. Some build them. Some want to burn them down. Others just use them as a tool for their plans. Sovereignty was sold to players as a sandcastle’s builder dream. Your space is under your control. You can upgrade it. Make anomalies spawn if you put work into your system. Plant your flag and banner on the map. Build an outpost and upgrade it as needed. Name it. Build the station of your dreams, specialising it into what you need. All the tools an empire builder would want. But an empire is not just about building things, it’s also a narrative and an ideology. By providing builders with on ideology they can get behind, you obtain the backbone of your empire. A nation! The pilots sacrificing their time for your objective now have a goal – a way of life and culture they can fight for. All the things you need to give people the incentive to integrate with your empire and help expand it. In light of that, let’s have a look at the recent state of Sovereignty space. Maybe we can answer why the old empires are clamouring that nullsec is not worth the hassle to keep and why they are slowly shrinking and disappearing. From the old empires, only the CFC and Provi-bloc remain. First of all, I need to deal with the first argument people will use. It’s not a question of ISK. It’s not a question of making people rat in your space. Most of industry is done because people like it. EVE, sorry, Spreadsheets in Space, is calling to the same people that like to play Anno, X3 or The Settlers. They are not games where reward justifies the means. Their gameplay revolves around the creation of complexly functioning systems. They are games where you stop to admire your work after many hours – you play them for the sake of building. Speaking as the engineer I am, the satisfaction lies in being able to appreciate the elegance of your creation. You play them because you are a builder. EVE industry shares the same game design principles as these types of games. EVE economy is complex; it needs players to establish different lines of production, to deal with a lot of different products, to establish advanced logistical solutions, to find the right price from the multiple components and the time and effort needed at each step before reaching a final product. More than that, EVE has another element compared to the usual city builder game. It puts all that into a multiplayer PvP environment and forces you to cooperate with others. Your logistics are not run by NPCs. You can’t handle the whole production line alone. You have to organise a team of real people to create what you need, haul it, combine it and finally sell it. It’s what the last iteration of SimCity tried to do and failed at miserably. Once upon a time, sovereignty was a delicious honeypot for builders – a complex system of POS and PI to establish, outposts to construct and upgrade, titans to build. All these tasks were an amazing and delicate creation, needing a lot of dedicated people greasing the wheels, making their small piece of the puzzle work smoothly, building a complex system to produce a unique and amazingly complex product. Reading about it today reminds me of the people that worked on the Apollo program. Proud of their participation. Dedicated. A small part of something bigger and happy about it. When Steve (the first titan ever built) died, it was not the pilots nor the fighters that would not be able to use it anymore that cried. All the workers that participated in the complex production that gave birth to the first titan lamented their destroyed creation. But what is happening nowadays? Titans are sold daily. They still demand the work of dozens of people, but builders are not the backbone of alliance an anymore. They work alone and then sell their creation to a PvP alliance, assuming a PvP alliance doesn’t simply strongarm them into it. Outposts? They can’t be destroyed, meaning that we are slowly approaching the point where there is no need to produce more of them. The worst that could happen to your outpost is a big alliance taking it and blocking docking for everyone. But you know you can overcome that problem with military might at some point. Once you have enough outposts in your space, you don’t need to build new ones anymore. At worst you have to invest into upgrading them, but if you need an Amarrian outpost to produce and only have a Minmatar one, there is nothing you can do about that. You can squat in something someone built before. The chances of building your own outpost of exactly the right type and in the perfect place are slim, you’ll end up using what someone else has built. How is that a problem? When the possibility to build an outpost was introduced into New Eden, creating one was an adventure in itself. Empires were built to produce and protect one. People are still talking about the ISS (a corporation set up from an investment pool with the goal of creating and operating some of the first outposts) years after the initiative died. Today however, Providence-bloc, for example, have built an outpost in every system in their space. Now we are in the era of fighters. Players have forgotten that they used to fight for something. For their nation. For their ideology. To give their builders the tools they needed. To stop other builders in dominating a particular area of the market. Nowadays players just want to fight, conflict for conflict’s sake. They want the fights to be big and to involve big assets. They want them to be fun. However, this lacks meaning. Something meaningful is something you are ready to fight for. Something that means something to you. The builders are not here anymore to provide the meaning needed to build the backbone of an empire. Even Provi-bloc and the CFC are no exception to that. They are still relying on builders, but they have decided to become an autarky, isolating themselves. Taking space with the sole goal of bringing fights will not create empires. It will create mercenaries and barbarian hordes. Wait, isn’t that the exact description of the past years of sovereignty? And here comes the second part of an empire: the ideology, the leaders, the charisma part. A strong ideology and charismatic leaders is what kept most of the big alliances alive despite the lack of builders to give them meaning the past years. Of all the big empires, only the CFC ideology has survived the loss of builders. Only the Legion of xxDeathxx have survived from the alliances built around charismatic leaders. 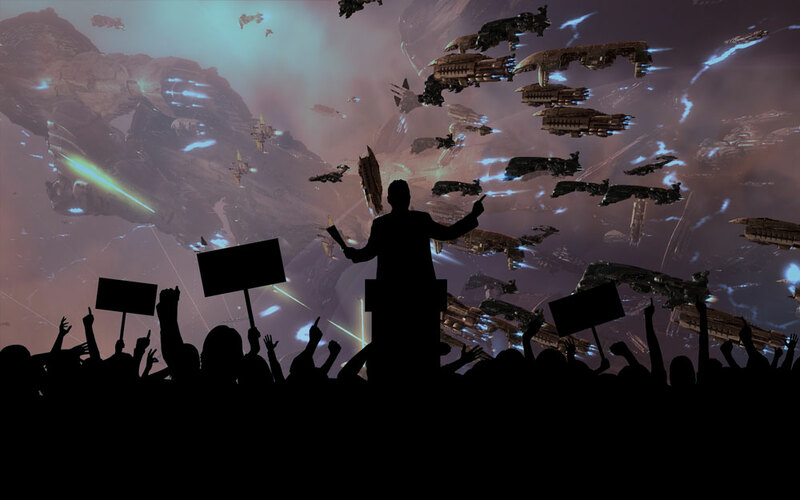 We also have survivors with foundations in ideology: Pandemic Legion – built around the idea that its members have reached the point where EVE is just a social fight club, and Test Alliance Please Ignore – which is based on… no one knows. They are the two survivors of that group, but they are pretty unique in their style. Do we lack charismatic leaders, ideology and narratives? Maybe. Or maybe not. Without builders to maintain and give goals, an ideology will not bloom into an empire. You need a symbiosis between an ideology and builders to produce the backbone of an empire. If all you want is to take a bunch of systems or recruit some fighters to follow you, then your ideology and charisma are enough. But once you need to seed a market, organise a moon mining and reaction empire, upgrade multiple outposts and infrastructure hubs, then you are going toward the next step. You are going to build an empire, and you will need to attract builders. You will need to create a nation. Aegis sov has suppressed the threshold that was keeping new ideologies from growing in null. Today you can invent your ideology, recruit a bunch of pilots, sort out some logistics and dive into sovereignty. Aegis sov has opened the possibility for baby empires to appear. So if you want to get out there and be the founder of the next empire, find people that share your ideas and attack a bit of space. You will maybe help create the next Provi-bloc or the next ISS. Without builders to give your culture with goals however, you will not get far. 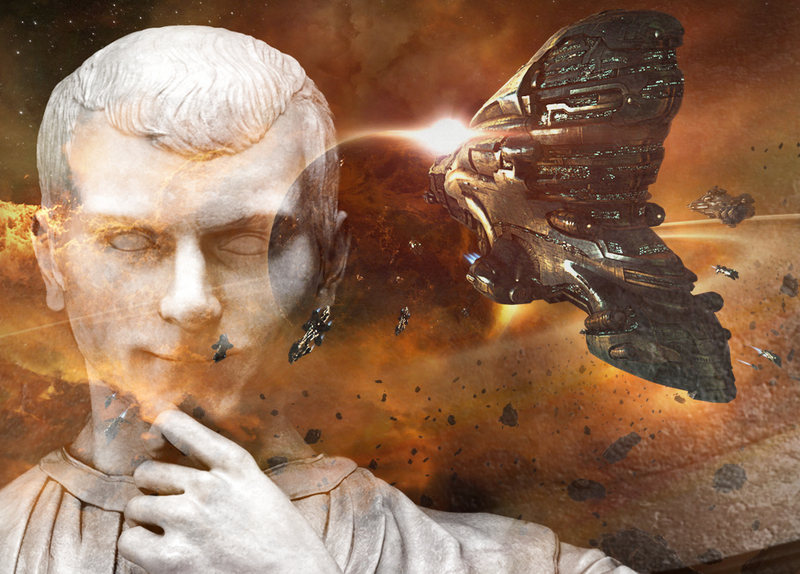 With Aegis sov, CCP have overcome one of the problems of sovereignty. They have created an ecosystem where new ideology and groups can appear and grow. Now, if we want sovereignty to produce a new generation of empires, these new infant cultures need to be fleshed out with goals. An incentive to come back, to build complex systems, to organise groups of people toward a distant goal. That’s exactly what the new structures and stargates could provide in the future. The new structures are interesting for a number of reasons. They can be equipped and organised in a lot of different ways. They are destructible, making your production line dynamic, avoiding the main problem of outposts. They will provide a never-ending goal for builders, needing to adapt as they lose them. They will have a deep level of choices and possible weaknesses, meaning that the production line will probably need to evolve with the metagame. And even better, they are easy to understand. They use the same interface and game design as ship fitting, which means that builders discovering the game will be able to go through that path right away. If you know how to fit a module to your ship, you can use a structure. I hope that builders will fall in love with sovereignty again. I’m seeing lot of new ideologies and cultures appearing in null, with many groups forming to seize a piece of that space. The west, south and even east are seeing a ton of new ideas given form. Will they mesh with builders, finding partnerships that will produce a new set of nullsec nations? Will they give birth to empires? I hope so. But to reach that point, these groups will need a bit of a dream. A spark lighting the need to go into null, bootstrapping them into becoming a new nation. That spark can be anything. 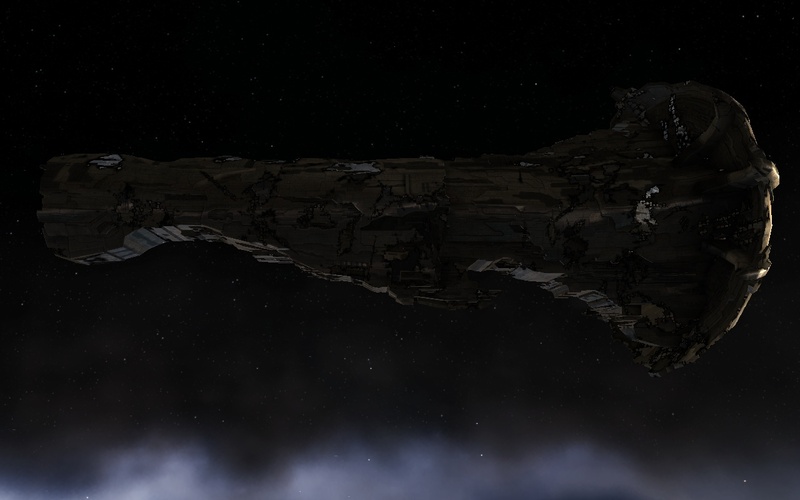 A new “This is EVE” oriented toward nullsec. A new ambitious goal to achieve – like reaching new part of space . A number of charismatic leaders revealing themselves to the world. An unknown and sudden meta event. Anything can be that spark CCP have encouraged the birth of ideology and new groups. Developer teams are working to offer tools and possibilities to builders. A future of new empires is opening in front of us. All we need is a spark to light that fire and EVE will have a flourishing sovereignty space again. What if that spark is waiting in you, ready to spread in the cluster? You will only know if you try! Diana Olympos is one part logistics mastermind, one part avid fan of EWAR, sprinkled in with newbro training . Known as “the strange French guy”, he has the bad habit of overthinking every aspect of the game . He flies with Phoebe Freeport Republic in nullsec.